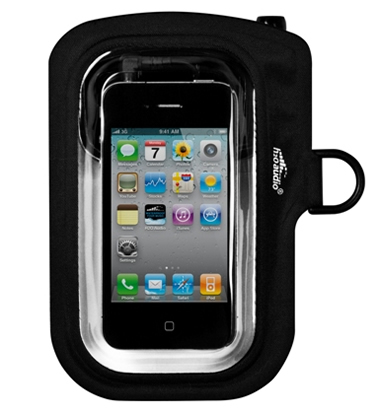 The Amphibx Go waterproof iPhone case armband is amongst the latest waterproof iPhone solutions available in 2011. The Amphibx Go waterproof iPhone case provides the protection you need and the functionality you want in a streamlined, lightweight soft case. 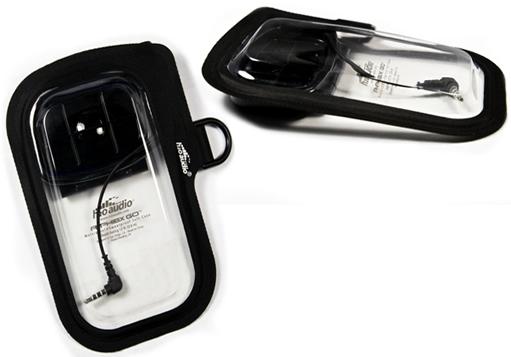 When paired with our waterproof headphones the Amphibx Go creates a sleek waterproof iPhone or iPod Touch solution. 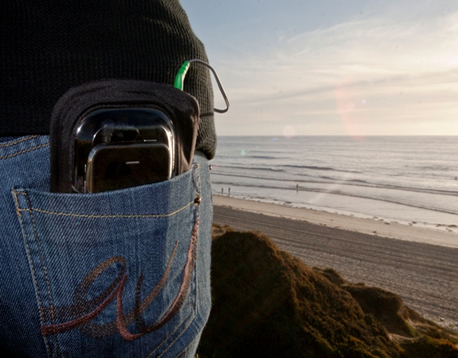 Precision engineering keeps your phone or MP3 player safe and dry, even when submerged up to 12 feet underwater. Each H2O Audio product is individually tested to ensure it is 100% waterproof. The patented LatchTight locking closure gives you plenty of space to load your phone or large MP3 player, and then easily and securely seals closed to keep moisture out. The ClearTouch pouch allows for full function of touchscreen, camera and button features while the SealTight headphones connector allows you to listen to music or place a call fully protected from the elements. Integrated D-ring loop allows you to attach this case to nearly anything, then easily swings out of the way to slide into tight spots. 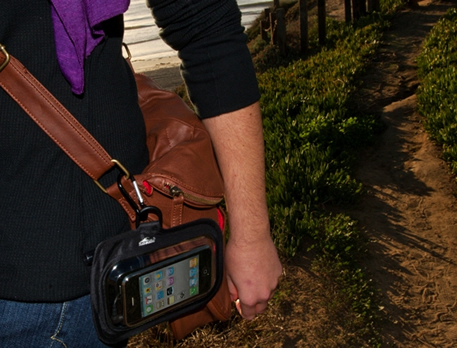 A waterproof iPhone or iPod a solution that slides easily into your pocket.